Medication adherence has always been a problem — especially among the elderly . Our senior loved ones can have a lengthy list of medications to take on a daily basis. And for those depending on loved ones due to an inconsistent memory, keeping track of them can be increasingly difficult. Forgetting to take medication or — worse yet — taking too much of it can lead to severe consequences, including hospitalization. When appropriately used, medication can improve quality of life, extend life expectancy and cure or mitigate disease. It's critical that your loved one takes his or her medication at the right time, in the right doses, for the right schedule. A simple system can help your loved one stay on track with his or her medication schedule. Sometimes, it’s a matter of which strategies work for a particular person. When it comes to medications, you need to be careful. That means following instructions to the letter. If you’re helping a loved one create a system or schedule for medication, make sure you are fully informed about the medicine. Always read all labels and any available documentation. Speak with your loved one’s doctor or pharmacist to make sure that you know precisely what directions your loved one should follow. 1. Create a simple checklist for your loved one to use. As the number of prescriptions increases, the instructions can become complicated. Make a written checklist or a grid to track the medications in a way that’s simple to track. Take a written checklist a step further by printing out a new checklist each day. This way, you or your loved one can check off each dose. 2. 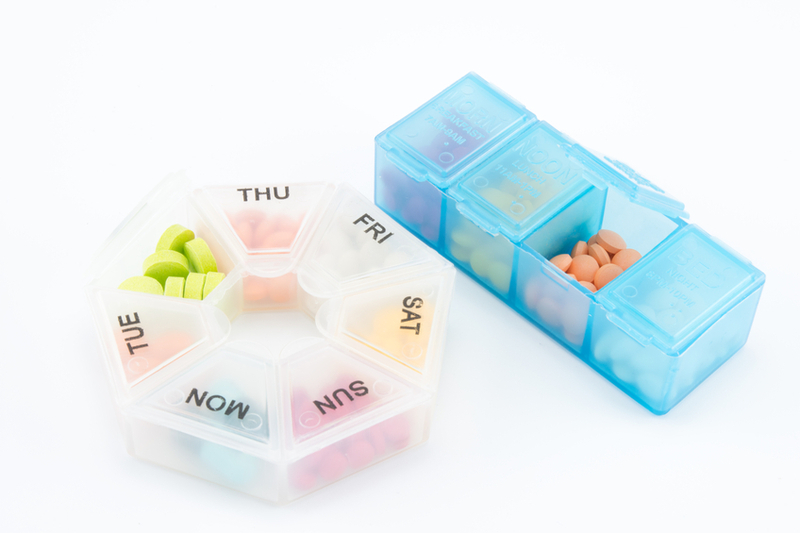 Use a pill organizer to pre-plan each week’s medications. This can help keep the organization simple. Bonus: If the drug packaging is not user-friendly for your loved one, transferring the medication into a pill organizer can alleviate that trouble, too. Make helping your loved one fill their pill organizer a weekly activity. 3. Consider tying the medication to your loved one’s activities of daily living. Look for opportunities to form a habit: For example, your loved one could take medication when sitting down to breakfast or when brushing teeth at night. This will vary depending on the medication and whether it should be taken at a certain time of day, with or without food, etc. Make sure to follow the instructions from your doctor or pharmacist. 4. Set alarms on your loved one’s clock, watch or cell phone. As an alternative to an alarm, you can give your loved one a call to remind him or her to take the medication. 5. Count your loved one’s pills frequently so that you can track whether they are missing doses or taking extras. Create an additional vetting process like counting pills to ensure a medication schedule is being followed. 6. 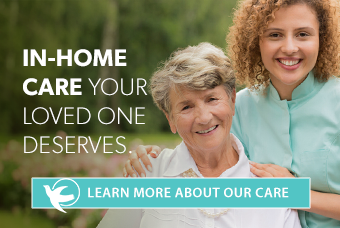 Consider a professional caregiver. Sometimes, even the most robust systems are hard for seniors to follow. In these cases, a professional caregiver by your loved one’s side is often helpful — from reminding him or her to take medication to running to the kitchen to fill a glass of water. By having a professional caregiver around, your loved one will no longer need to keep track of their medications all on his or her own. Click here to learn more about preventing hospital readmission for your loved one.